Professor Gamini Lakshman Peiris assumed duties as the Vice Chancellor of the University of Colombo during a turbulent period in Sri Lanka’s history when peace and tranquility in the country was affected and it was in turmoil. Within a short period of his assuming the Vice Chancellorship in 1988, the out-going Vice Chancellor was murdered in the premises of the University of Colombo itself. In spite of these violent events and amidst this turbulence, Professor Peiris gave academic and administrative leadership to the University of Colombo and guided the affairs of the University until he resigned from the university service to take up to politics in 1994. Professor Peiris is the only child born to the respectable and distinguished family of Mr. Glanville Peiris and Mrs. Lakshmi Chandrika Peiris in 1946. He had his education at St. Thomas College, Mount Lavania where he shone as a brilliant student. He entered the Faculty of Law of the University of Ceylon and obtained the Degree of Bachelor of Laws with First Class Honours, winning many awards and prizes, including the Gate Mudliyar Edmond Peiris Award. 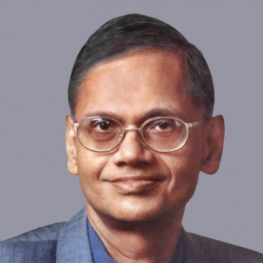 Having been absorbed into the Staff of the Faculty of Law, and being the proud winner of the prestigious Rhodes scholarship, Professor Peiris proceeded in 1968 to the University of Oxford, UK, to read for the D.Phil Degree. He was awarded the D.Phil Degree by the Oxford University in 1971. He also earned the Degree of Doctor of Philosophy from the University of Colombo in 1974. He successfully earned these two Doctoral Degrees at the relatively young age of 28 years. After returning to the University of Colombo, Professor Peiris was engaged in teaching and legal research. He authored more than ten books in the field of law within a very short period. His researched articles numbering more than thirty on a variety of subjects in the field of law including Law of Evidence and Criminal Procedure, Administrative Law, Constitutional Law, and Land Law were published in world renowned refereed journals all over the world. He was the youngest ever member of the Faculty of Law in its history to become the Professor of Law of the University of Colombo. After returning to the University of Colombo, Professor Peiris engaged in teaching and legal research. He has authored more than ten books in the field of law within a very short period. His research articles, numbering more than thirty, on a variety of subjects in the field of law, including Law of Evidence and Criminal Procedure, Administrative Law, Constitutional Law, and Land Law are published in renowned refereed journals all over the world. He is the youngest ever member in the history of the Faculty of Law to become the Professor of Law the University of Colombo. He was a Rhodes Scholar of the University of Oxford from 1968 to 1971 and again at All Souls College of the University of Oxford from 1980 to 1981. He was also awarded the Fellowships by the Universities of Oxford, Cambridge and London. He was a Visiting Fellow of the Institute of Advanced Legal Studies of the University of London, distinguished Visiting Fellow of Christ College, University of Cambridge and SMUTS Visiting Fellow in Commonwealth Studies at the University of Cambridge during 1985-1986. He also held the position of Associate Member of the International Academy of Comparative Law in 1980 and Senior British Council Fellow in 1987. He was invited by many world renowned universities from various countries including the United Kingdom, United States of America, Canada, Australia, India, Hong Kong, Switzerland, and Netherlands. He has delivered many Orations in the name of many distinguished personalities and events. Professor Peiris was a member of many prestigious bodies in the country. He was, in the early 1990s, appointed by His Excellency the President of the Republic of Sri Lanka to be the Vice-Chairman of the Youth Commission which was established to report on the youth uprising in the country. He was also a member of the Law Commission of Sri Lanka. While in the University service, his expertise was sought after in the drafting of the Constitution as well as in finding a political solution to the national problem of the country. As the Vice Chancellor of the University of Colombo, Professor Peiris gave importance to research and promoted sustained research amongst the academics.He also constantly encouraged University teachers to broaden the dissemination of knowledge to include wider sections of the society. Thus, he promoted the conducting of Masters programmes and many extension programmes in the University. It was during his time that the Faculty of Management and Finance was established in the University of Colombo. This article was prepared by Mr. N. Selvakkumaran, Dean, Faculty of Law, University of Colombo.